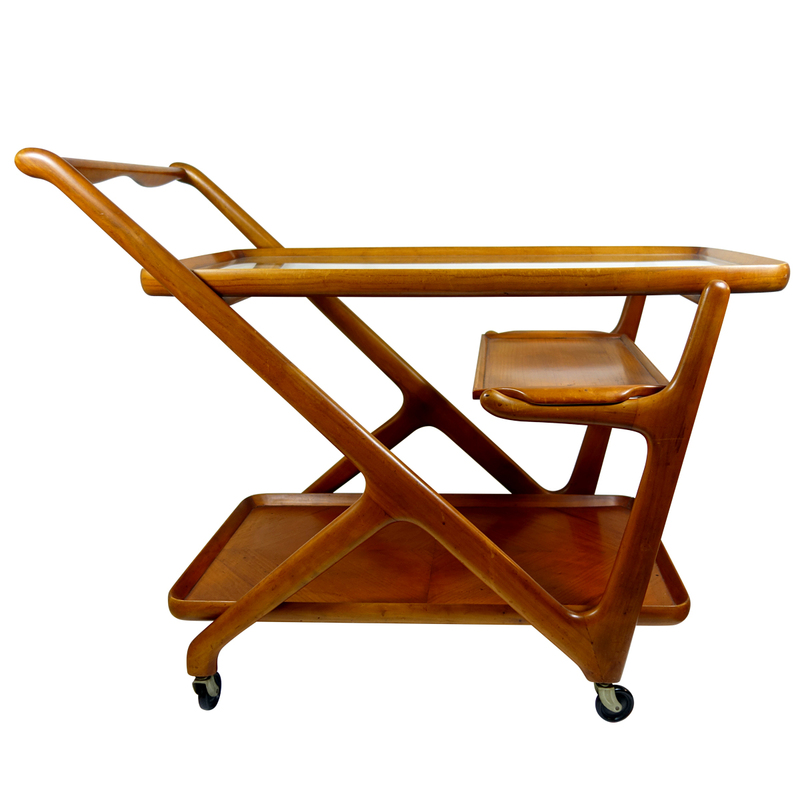 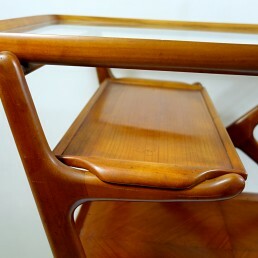 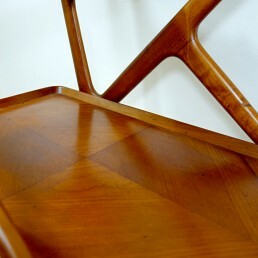 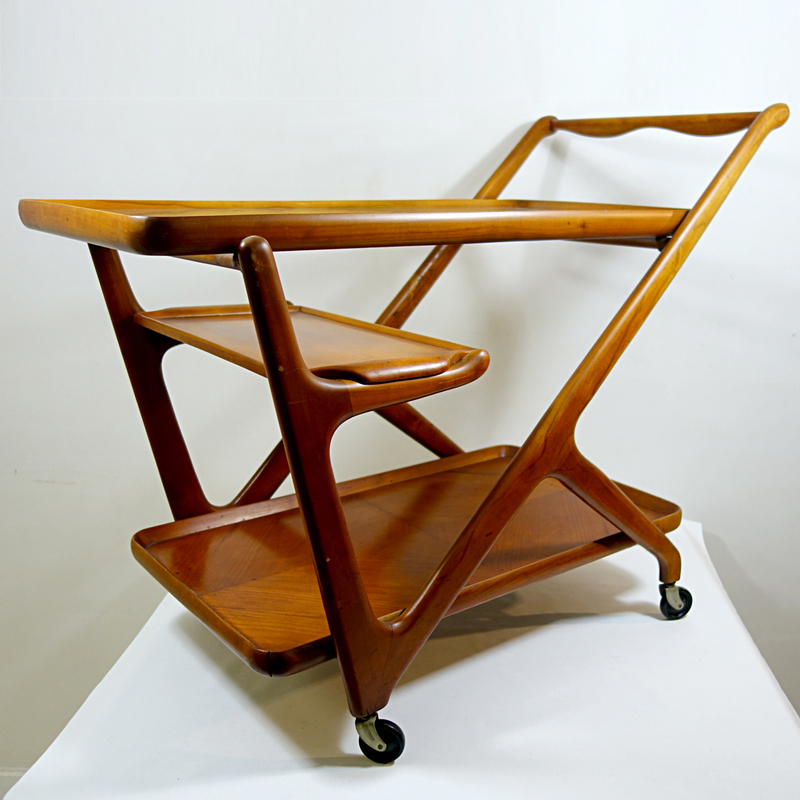 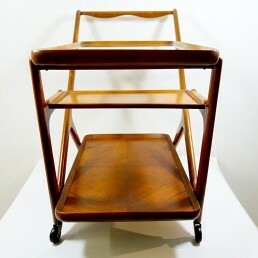 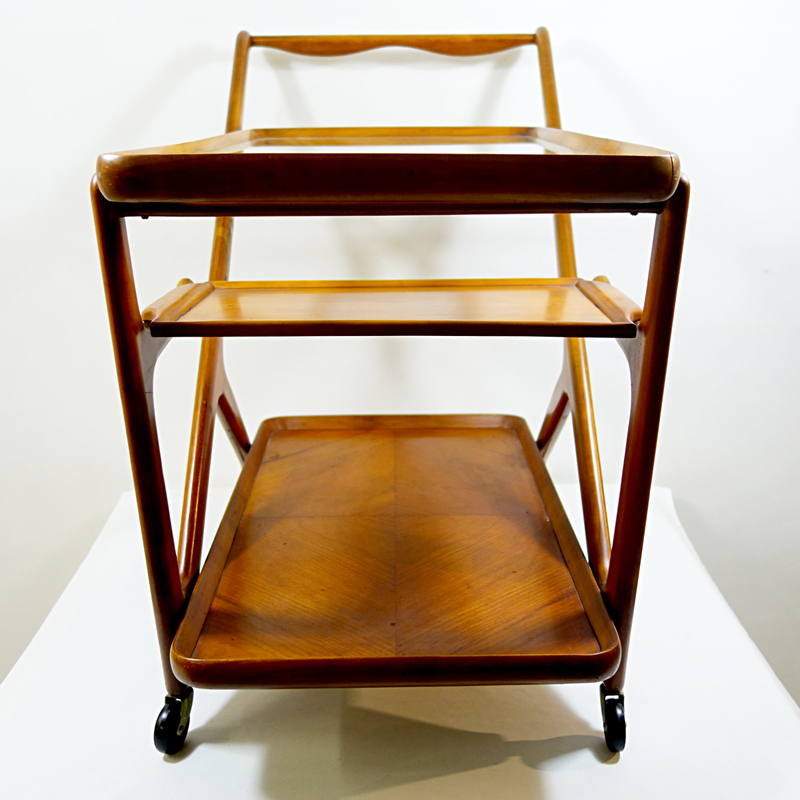 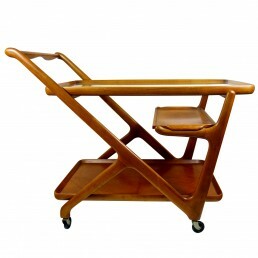 This wooden midcentury tea trolley or bar cart was designed by Cesare Lacca for Cassina; a very elegant Italian trolley from the 1950s. 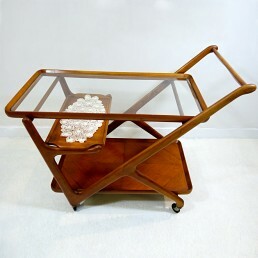 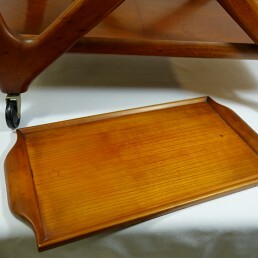 Including the original removable serving tray and of course the glass top. 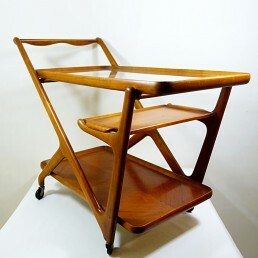 This trolley will be delivered with the crocheted cloth hand made by the first owner.